Do you understand these important concepts? 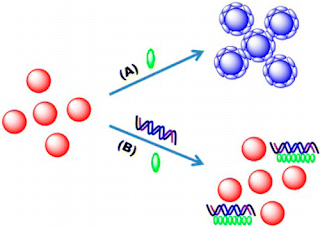 Nanoparticles refer to particles having a particle size between 1 and 100 nm, also known as ultrafine particles. They are in an over-extension between macroscopic objects and between micro-systems and macro-systems. They are a group of a small number of atoms or molecules, so they are neither a typical microscopic system nor an atypical macroscopic system. The basic meaning of nanoscience and technology is to manipulate and arrange atomic and molecular innovations directly or indirectly in the nanometer category for making new substances. Nanomedicine is an emerging edge interdisciplinary subject based on nanoscience or medicine. Its basic meaning refers to the use of nanotechnology theories and methods to carry out a new discipline of medical research and clinical treatment, which is mainly related to medicine in two aspects. Combination: First, the detection technology of disease; second, the treatment technology of disease. As an important tool in the field of nanomedicine, gold nanoparticles have become a research hotspot in the field of nanomedicine at home and abroad with its unique properties. The emergence of nanoparticles has injected new impetus into the scientific development of the new century! 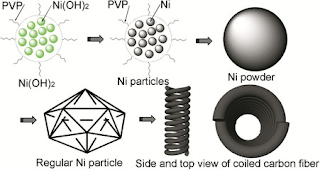 Ø Vapor Deposition: Synthesis of nanomaterials by chemical reaction of metal compound vapors. It is characterized by high purity and narrow particle size distribution. Ø Precipitation method: After the precipitant is added to the salt solution for reaction, the precipitate is heat-treated to obtain a nano material. Its characteristics are simple and easy, but the purity is low and the particle radius is large. Ø Hydrothermal synthesis method: synthesis in a fluid such as an aqueous solution or a vapor under high temperature and high pressure, and then separating and heat-treating to obtain nanoparticles. It is characterized by high purity, good dispersibility and easy control of particle size. Ø Sol-gel method: a metal compound is solidified by a solution, a sol or a gel, and then subjected to a low heat treatment to form a nanoparticle. It is characterized by a large number of reaction species, uniform product particles, and easy process control. Ø Microemulsion method: two mutually incompatible solvents form an emulsion under the action of a surfactant, and nucleation, coalescence, agglomeration and heat treatment in the microbubbles to obtain nanoparticles. It is characterized by monodisperse and good interface of particles. Nanoparticles are widely used in biology, chemistry, medicine, etc. Bioanalysis is mainly used in the frontier fields of biological macromolecule analysis, biopharmaceutical analysis, bioactive substance analysis and microbial analysis such as proteins and nucleic acids. Because the sensitivity of the existing methods to the specificity of the target molecule is not high, scientists have sought to find a more sensitive and specific method for bioanalysis. The emergence of nanoparticle probes provides a new way to solve this problem. It can accurately combine the target and has strong specificity. At the same time, the nanometer size of the probe can significantly improve the sensitivity, and the in-depth study of biomolecules. Convenience is provided. As a new type of nanocarrier, mesoporous silica nanoparticles have a good application prospect in the field of biomedicine. It is different from the physicochemical properties of traditional inorganic materials and plays a key role in the diagnosis and treatment of malignant tumors. In particular, MSNs, as a drug-loading platform with high loading capacity, good biocompatibility, targeting and controllability for drug release, can be used to solve the problems encountered in the current clinical diagnosis and treatment of malignant tumors. Nanotechnology is a highly attractive research area that is emerging to achieve these goals. It is a new approach to designing novel nano-sized active ingredients and their formulations and delivery systems, collectively referred to as "nano-pesticides." Nanopesticide is an emerging field called crop nanotechnology for crop protection. This field covers a wide range, including a basic understanding of the interaction between nanomaterials and insects, making existing pesticide active ingredients into nanoemulsions and dispersants, using nanomaterials as active pesticide ingredients or developing new nanopesticide formulations using nanomaterials as carriers. It is expected that research on nanopesticide will address the major limitations of existing pest management strategies, providing new and advanced nano-formulations that are stable and active in the target environment (less affected by sunlight, heat and rain) and can penetrate Target organisms (insects), which are resistant to pest defense mechanisms, are harmless to plants and mammals, are cost-effective to formulate and produce, and have new mechanisms of action. Nanotechnology can reduce the use of crop protection chemicals and will make agriculture environmentally friendly and cost effective. 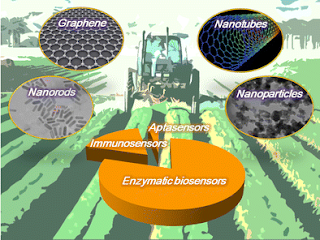 Fertilizers, pesticides, and growth regulators are well-delivered, including nanosensors that detect soil conditions, crop growth, and pest and disease infestation in time, through the development of nanodevices and products. The application of nanotechnology in agriculture will have good prospects as well as in other fields, but progress will be relatively slow.